Savory with just a touch of sweet, making french fries from sweet potatoes, takes this well treat to a new level. I often use sweet potatoes, and in my experience, they cook up just like a white potato, but they do fry up and start to burn just a little quicker. I think it is because of the higher sugar content, but don't hold me to that. Check these out! 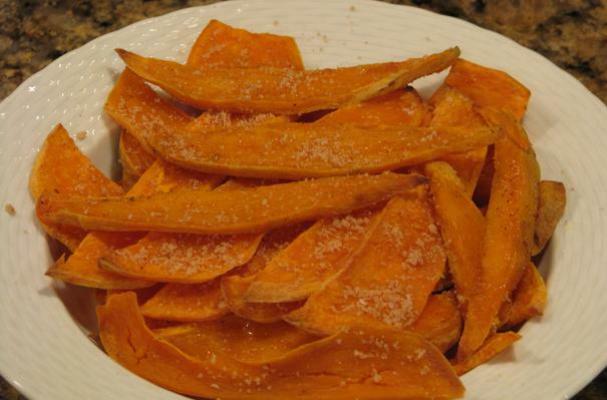 I also like making sweet potato chips the same way, just slice them super thin and watch your family eat them like crazy! Don't tell them that sweet potatoes are really healthy.